Located just steps from the Atlantic Ocean in beautiful Lantana, Florida, The Carlisle Palm Beach senior living community has all the amenities of a 5-Star resort, along with care services tailored specifically for our residents. With Lantana Independent Living, Palm Beach Assisted Living and Memory Care lifestyle options available, you can find more time to live the life you’ve always dreamed. JUMP IN – THE WATER’S WARM! Within the Carlisle Palm Beach senior living community, you’ll find there’s plenty to do when you’re feeling active—and just as many places to relax when you’re not. Neighboring the Eau Palm Beach Hotel and the Plaza Del Mar, our own community includes everything you’d expect from a high-end hotel, and then some. You can get creative in the art studio, play cards or billiards with friends in one of the game rooms, take a dip in the pool, and so much more. Want to get outside? We recommend a stroll along gorgeous South Palm Beach. When you live within the Palm Beach assisted living community, there is no shortage of sites and scenery to photograph and share with friends and family. We’re surrounded by a nature preserve, yet we’re also just south of the luxurious shopping district of Worth Avenue. If you’re feeling like getting away, our experienced, caring Senior Living staff will take you wherever your heart desires, whether for a scheduled visit with your physician or for an impromptu shopping spree. We offer Lantana Independent Living and Assisted Living lifestyle options. Our Palm Beach Assisted Living residents and residents’ families receive valuable peace of mind knowing that a certified nurse is on staff 24 hours a day. All of our residents also enjoy the comfort of weekly housekeeping, physical therapy, health screenings, and the delicious dining options of our Fresh for You program. We don’t require our new residents to put down large down payments on their new home. 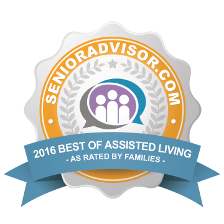 At Senior Lifestyle, we care about the overall well-being of our residents. We offer our residents all the perks of country club living without the expensive buy-in—just a simple lease is required to begin enjoying Palm Beach senior living. We offer a variety of very spacious apartment styles and floor plans, which feature full kitchens with plenty of cabinets and plenty of amenities. Explore nearby cities like Delray. *Valid 11/1/18 through 12/31/18. Units priced between approximately $4155-$7275/month. All move-ins must qualify for lease agreement and take financial responsibility by 12/31/18. Only available to private pay move-ins. Cannot be combined with any other bonus or oﬀer. The referred person must be 62 years or older and be new to Senior Lifestyle. We will verify eligibility through a review of our database. Oﬀer based on room availability. Move-in subject to applicable statutes and regulations. Other terms, conditions, and restrictions may apply. Reach out to The Carlisle Palm Beach for additional information. The Carlisle runs a very professional operation and never for a moment did I feel that my loved one was in anything other than a safe and comforting environment. The memory care provided a great sense of security. The staff was beyond professional. That expression, “The grass isn’t always greener on the other side,” is so true! 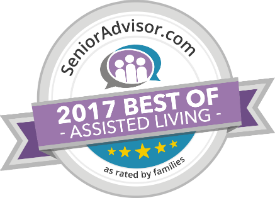 I recently moved my husband from The Carlisle to move him to a brand new Assisted Living competitor which was closer to my home. After only a week, I realized I had made a big mistake. Just because they were new, their care was not as good as The Carlisle’s Assisted Living. I called The Carlisle and they welcomed us back with open arms. We couldn’t be any happier. The care my husband receives at The Carlisle is well worth my drive time! The staff and residents all seem to be very happy at this property. It is situated in a beautiful location with lots of activities going on.